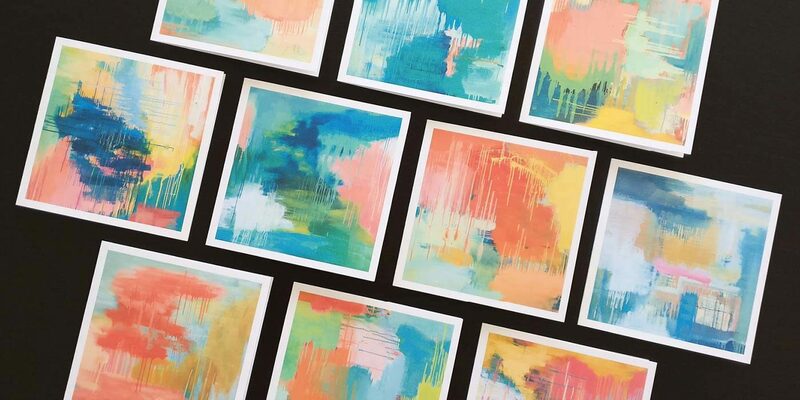 We’ve collaborated with artist Carolyn O’Neill to launch a new range of greeting cards! Carolyn is an Australian painter and mixed media artist whose main medium is oil on canvas. She creates paintings that express rich layers of emotion and inspire rest, contemplation and interpretation. Carolyn says she is honoured to contribute to Noteworthy Cards because she believes it is an extraordinary initiative, and feels privileged that her artwork is being used to help alleviate poverty.